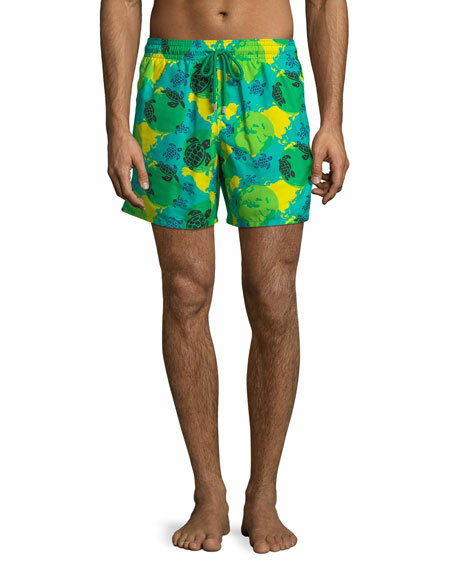 Vilebrequin "Moorea" swim trunks in world map and turtle print. 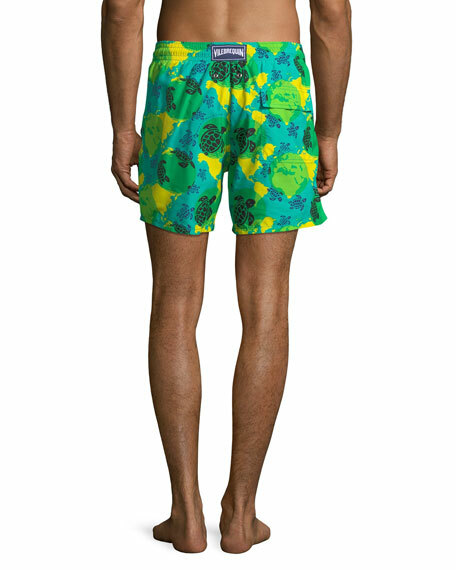 TOM FORD swim trunks in camouflage-print. Side slip pockets; back zip-welt pocket. Signature side adjusters at waist. Slim fit; straight leg. Button/zip front. Nylon. Made in Italy. Vilebrequin "Ancre de Chine" swim trunks in flocked anchors print. Elasticized drawstring waist. Side slip pockets; back flap pocket. Hem ends above the knees. Nylon; hand wash. Imported.